Halloween costume, check. Halloween makeup, check. Halloween invitation, check. What is left, oh! yes, the most important, food, in particular, the food that satisfies our sweet tooth. From buttercup goblin cookies to more sinister Halloween sweets, we have today collected a list of 10 cookie ideas that will be wicked good for your haunted hang-out. These candy corn cookies are very easy to prepare. Pick up a box of sugar cookies add some chocolate frosting and some candy corn on the edges or the required shaped, and you will be done with the first item in the list of Halloween desserts. These crispy butter cookies can be made in a variety of spooky colours and shapes. Whether it is ghosts, skeletons or mummies, there is one thing that is definite that the dessert will come out as eerie as tasty. Although the first look might give you the impression that the cookies are difficult to prepare, but they are actually super easy and fun to make. All you would need is a batch of royal icing, some shape cutter and of course the green food dye. There cannot be a fun Halloween party without the selective collection of finger foods. These witchy shortbread cookies are sinfully tasty and uncanny in its appearance. With the right blend of butter, vanilla and almond the cookies can be the perfect Halloween dessert or snack. Yummy shortbread cookies with spooky message or imagery can be the best one of a kind party dessert to either serve the guest right away or give them away in the take home goodie bags. These black cat cookies might look intricate and detailed with the texture and shape, but they are actually just Nilla Wafers and Oreos camouflaging as a cat. Although the mummification rituals in ancient Egypt went on for 70 days but these fancy looking cookies will only take 10 minutes of your time to create something tasty and decorative. If creepy and sinister is too direct and usual then these black velvet whoopie pies are just the right pick. The classy black and orange whoopie pies are the perfect chic and simple desserts to serve your guests. The ghost meringue cookies are easy to make and look as cute as ghostly. Even if you end up spoiling the shape, not to worry. Remember it is Halloween, so the rugged, the better. Gingerbread skeleton cookies are one of the easiest to prepare and serve. Gently pipe white frosting on the classic Christmas cookies to make them sinister and cute for Halloween. You don’t have to be a top notch chef top pull off and execute a tasty Halloween dessert. 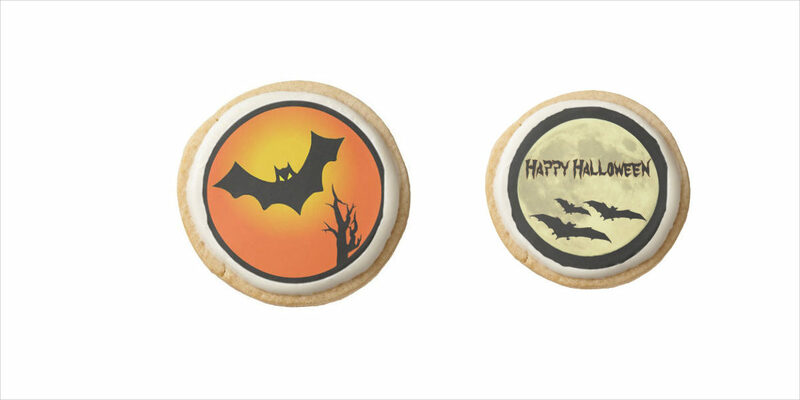 Keep it spooky and classy with these easy cookie ideas that make you enjoy the party with a mouthful of uncanny goodness.